These 100 inspirational words of wisdom quotes are all thoughtful expressions from ancient times to today. 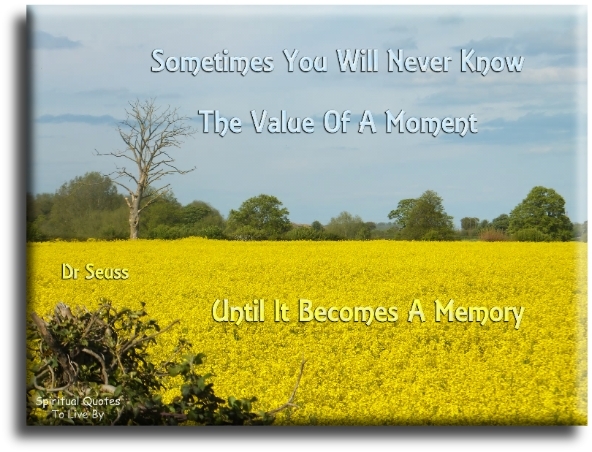 All of the quotes are from the wisdom quotes & sayings pages on this site, but as there are so many entries on these pages (and always increasing), I have taken what I believe to be the most inspirational wisdom quotes to form this page. There were many quotes that could have been used, but are also suitable for other quote collections that I will be creating. 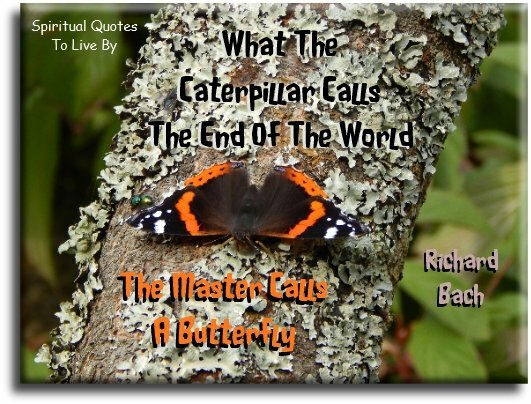 The quotes are listed in order of the authors surname and the unknown authors/sources are after. Your life is right now. It’s not later. It’s not in that time of retirement. It’s not when the lover gets here. It’s not when you’ve moved into the new house. It’s not when you get the better job. Your life is right now. It will always be right now, because it’s not ever going to get better than right now.. Until it gets better right now! A man who uses his hands is a labourer. One who uses his hands and mind is a craftsman. But he who uses his hands, his mind and his heart is an artist. And when he sees Me in all and he sees all in Me, then I never leave him and he never leaves Me. For nearly one hundred years we have known that the material world is an illusion. Everything that seems solid - a rock, a tree, your body - is actually 99.999% empty space. 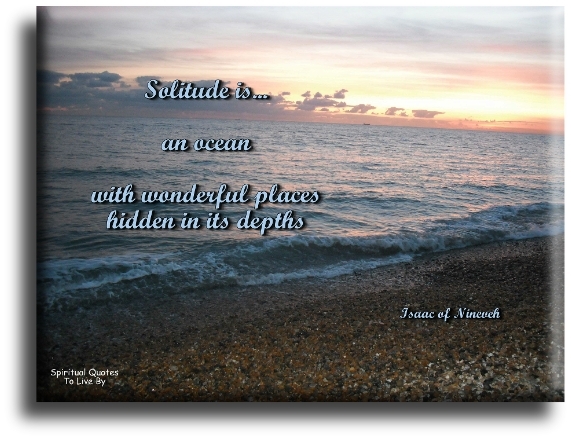 The quieter you become.. The more you hear. 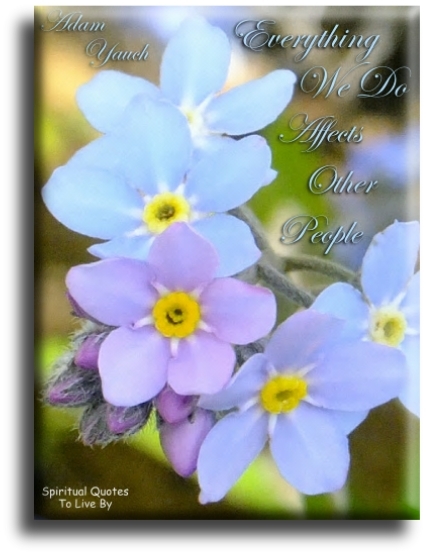 The greatest good you can do for another, is not just to share your riches, but to reveal to him, his own. 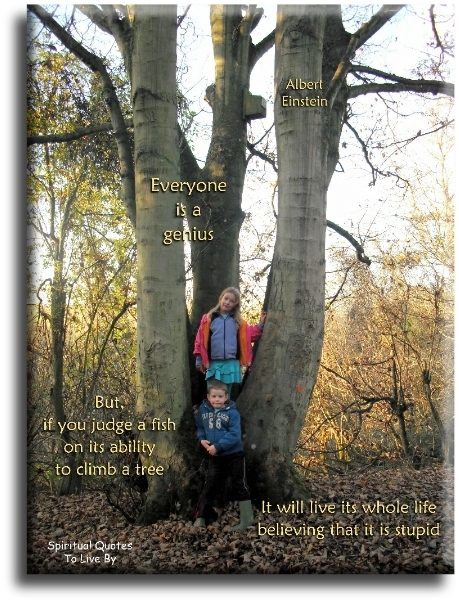 Everyone is a genius, but, if you judge a fish on its ability to climb a tree, it will live its whole life believing that it is stupid. The wise man in the storm prays God, not from safety from danger, but from deliverance for fear. It is the storm within which endangers him, not the storm without. He is a wise man, who does not grieve for the things he has not, but rejoices for those which he has. 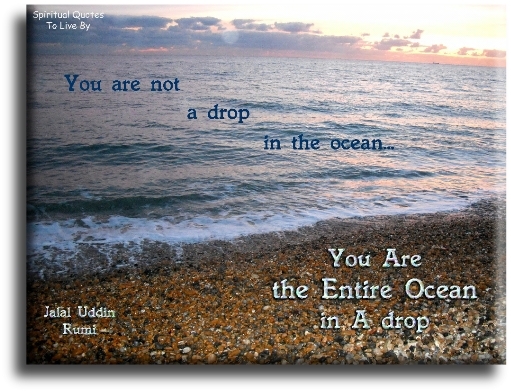 How could drops of water know themselves to be a river? Yet the river flows on. 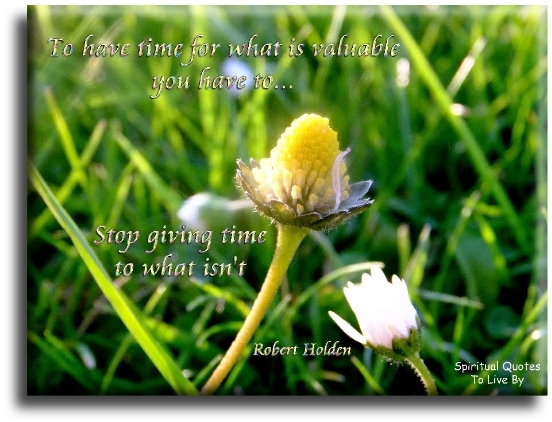 To have time for what is valuable, you have to stop giving time to what isn’t. When hungry.. Eat rice. When tired.. Close your eyes. Fools may laugh at me, but wise men will know what I mean. A man who wants to lead the orchestra must turn his back to the crowd. The only thing certain is.. 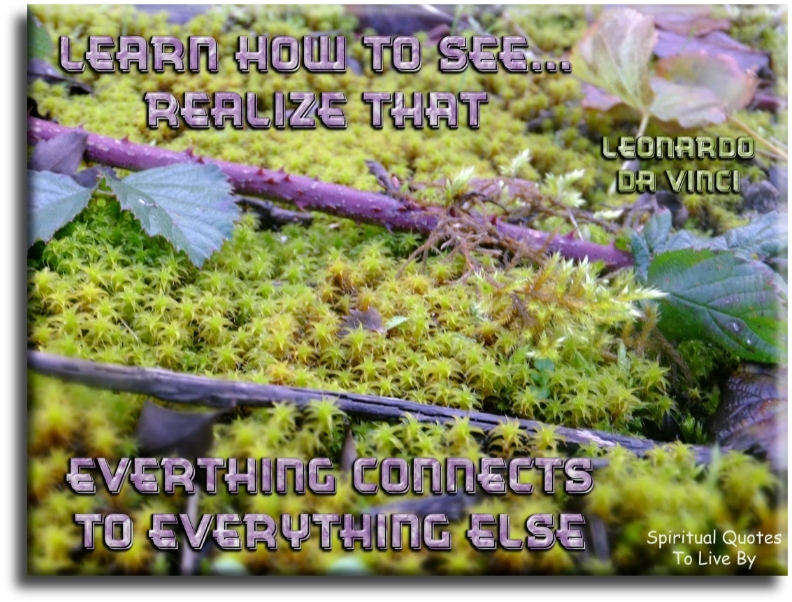 If real is what you can feel, smell, taste and see, then real is simply electrical signals interpreted by your brain. When we try to pick anything out by itself, we find it hitched to everything in the Universe. 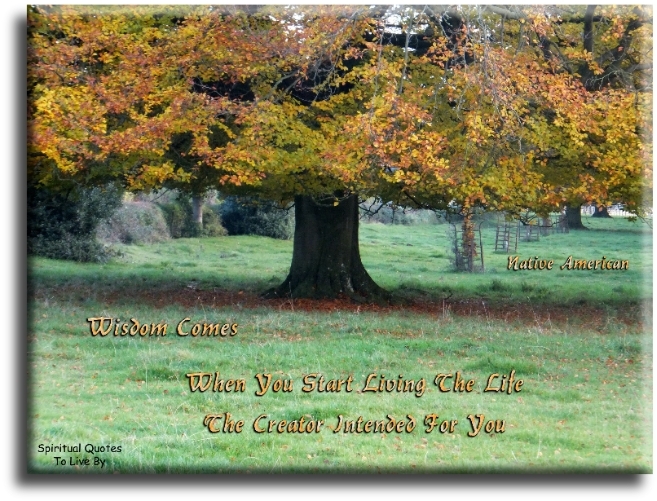 Wisdom comes when you start living the life the Creator intended for you. A man should never be ashamed to own that he has been wrong, which is but saying, in other words, that he is wiser today than he was yesterday. People are like stained glass windows. They sparkle and shine when the sun is out, but when the darkness sets in, their true beauty is revealed only if there is light from within. Sow the seeds of truth and one day they will grow and become the flowers of understanding. The day science begins to study non-physical phenomena, it will make more progress in one decade that in all the previous centuries of existence. Real is just a matter of perception. There are things we do not understand and yet they exist non the less. 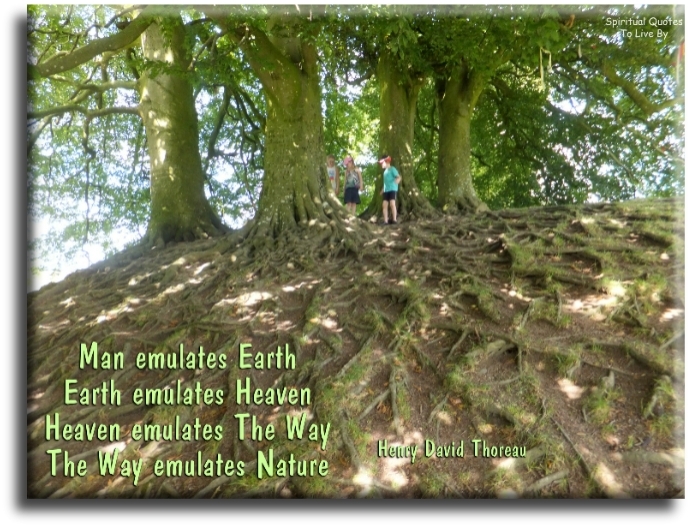 Nature does not hurry.. Yet everything is accomplished. That’s where true wisdom manifests itself. Before enlightenment - chopping wood, carrying water. After enlightenment - chopping wood, carrying water. If I throw a stone into a pond, the ripples come straight back to me. It is not a mistake to turn back if you are on the wrong road. It isn’t the mountains ahead that wear you out..
It’s the grain of sand in your shoe. Lighthouses don’t go running all over the island looking for boats to save.. They just stand there shining. 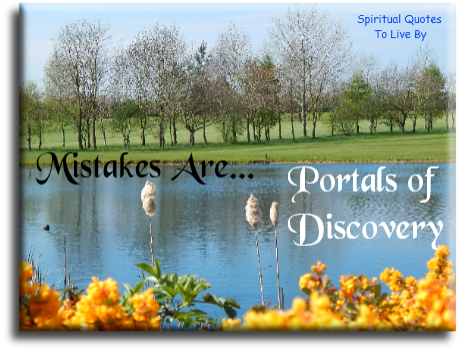 Mistakes are.. Portals of discovery. Once upon a time there were four people named Everybody, Somebody, Nobody and Anybody. When there was an important job to be done, Everybody was sure Somebody would do it. Anybody could have done it, but Nobody did. When Nobody did it, Everybody got angry because it was Somebody’s job. Everybody thought Anybody could do it, but Somebody realised that Nobody would do it. So, it ended up that Everybody blamed Somebody that Nobody did what Anybody could have done in the first place. 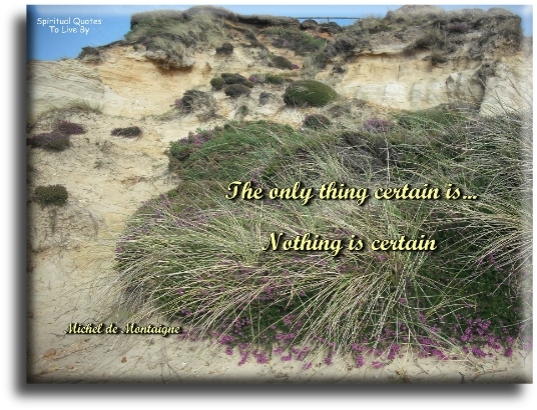 Should one say that something does not exist, merely because we have never seen or heard of it? Sometimes those who challenge you most… teach you best. 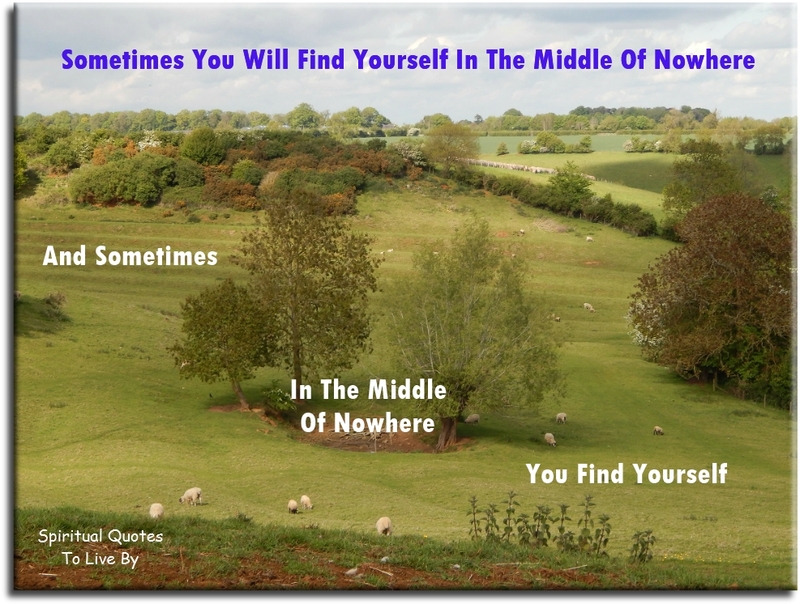 Sometimes you will find yourself in the middle of nowhere. The greatest treasures are those invisible to the eye, and found by the heart. To get to the fruit of the tree, you have to go out on a limb. 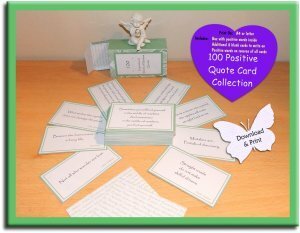 Give yourself some daily positive inspiration with these handy quote cards that provide thoughtful words to contemplate from ancient times to the present day. 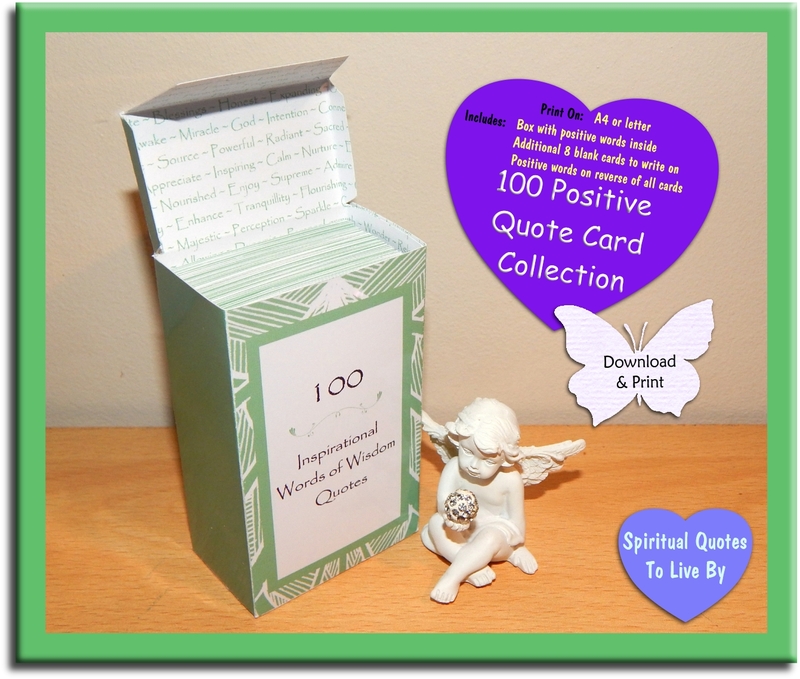 The cards contain all of the quotes on this page. Positive Energy: surround yourself with inspiration.. print more! 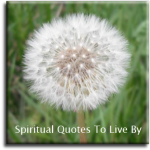 Click the image below to take you to the individual listing or go to Spiritual Quotes To Live By on Etsy to see these and more items.